What Kind of Work Can Earn You Work Credits? Applying for Social Security disability can be a daunting process. 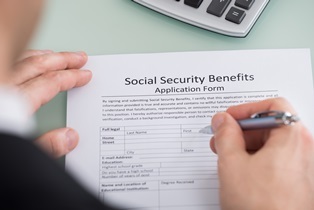 The Social Security Administration (SSA) has developed strict rules and guidelines that must be met before an applicant can be found eligible for disability benefits. In order to be eligible for Social Security disability, you must have worked long enough and paid enough into the Social Security system to qualify for benefits. This is known as “work credits.” You can earn up to four work credits a year. The number of work credits that you need to be eligible for Social Security depends on your age. Federal employment prior to 1984. Railroad employees who have more than 10 years of service. Employees of state and local governments who have chosen not to participate in Social Security. Children under 21 years old who do household chores for a parent (unless a child 18 years old or older works in a parent-owned business). The general idea is simple. You can receive benefits if you have paid enough in Social Security taxes. However, there are many exceptions to the general rule. For this reason, you may want some help from an experienced Social Security disability lawyer. At Keefe Disability Law, we can guide you through the Social Security disability process from start to finish. We will review your work history and determine whether your previous employment provides you with enough work credits to qualify for benefits and we will help you prepare a strong application to submit to the Social Security Administration. To learn more, please read our free report, Unlocking the Mystery: The Essential Guide for Navigating the Social Security Disability Claims Process, and please call us directly to see what we can do to help you.